This week’s work at ABC camp started on Sunday evening with a Costco run. Yes, we have a Costco here in Gunma, less than an hour from camp! You have to have some experience shopping at Japanese super markets to really appreciate just how huge Costco shopping carts appear to the average Japanese person. They’re big, even by U.S. standards, but compared to the typical shopping cart at a normal Japanese supermarket they are absolutely enormous! So imagine the looks we got when we rolled up to the checkout stand with TWO of those gigantic carts overflowing with groceries! Monday the campers started arriving in the afternoon and were in full swing before dinner. This group was Jr. High and Sr. High kids from our Covenant churches. 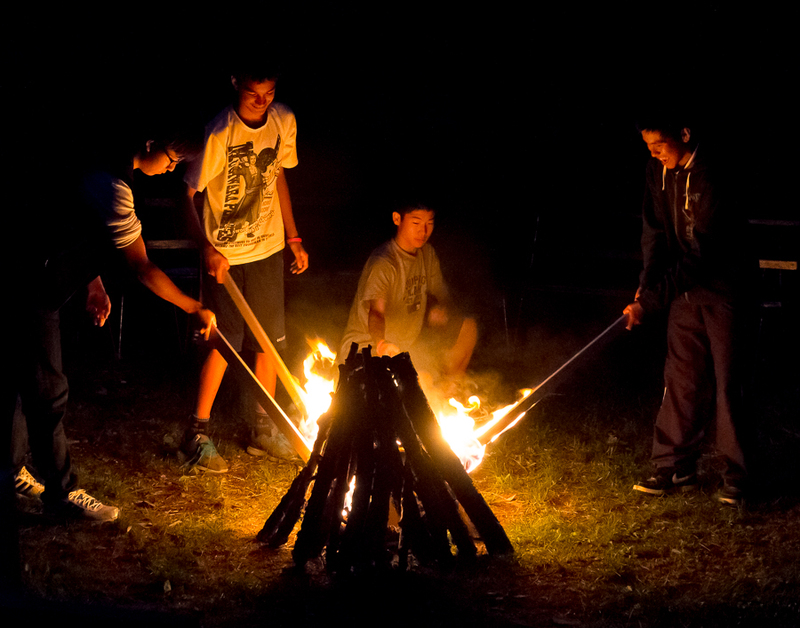 They were a great bunch of kids and we could tell that they were enjoying the camp. 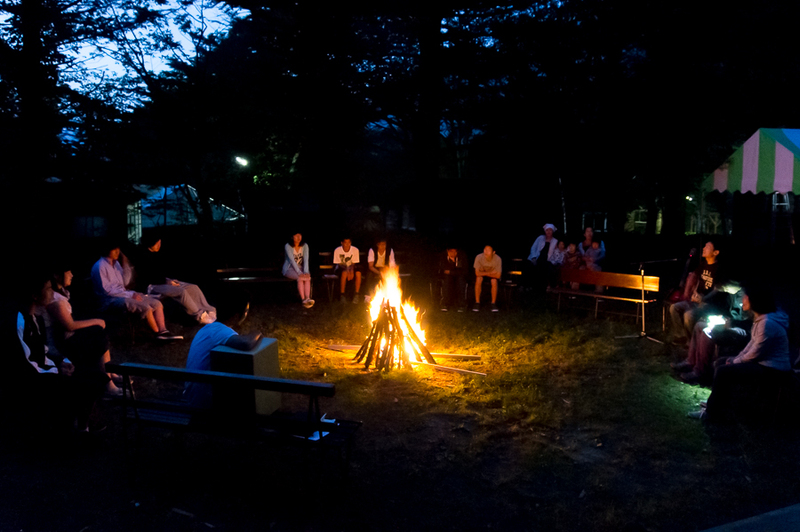 Wednesday night they enjoyed a campfire and by Thursday morning they were all pretty dreary-eyed! 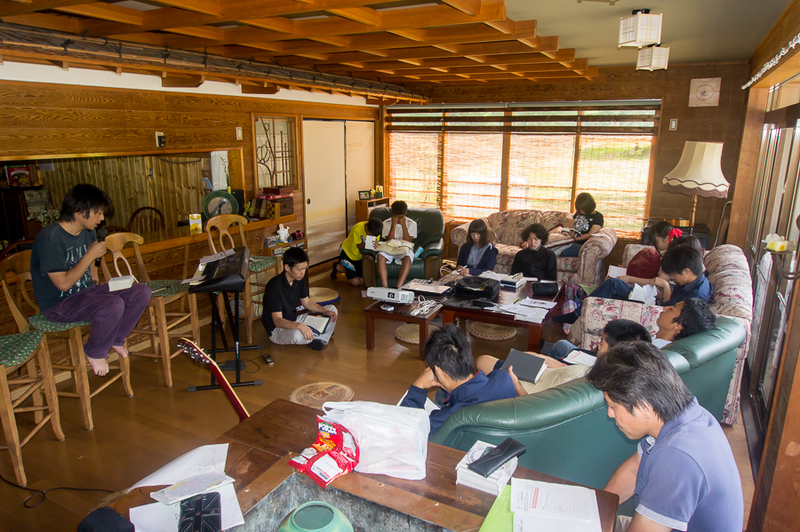 Since they were a smaller group they had all of their meetings in our living room instead of using the chapel. 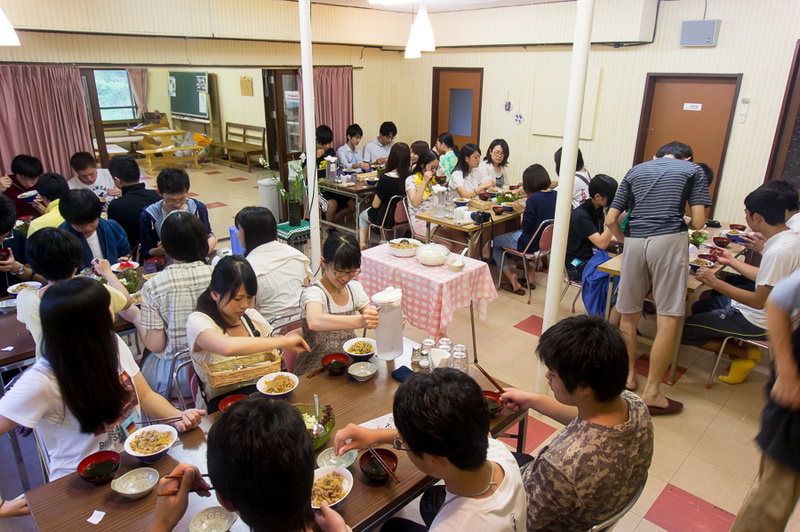 The reports we got afterwards were that they really enjoyed the more intimate setting. No sooner had we sent them off on Thursday morning than the next group started arriving. The second group are high school and college kids and we’re pretty close to capacity in terms of numbers. They will be here for the rest of the week, heading home on Saturday afternoon. While it’s exciting to see all the campers coming and going, the people we’re really getting to know and appreciate are the other workers. Our days together begin at 6:30AM and usually don’t end until 8PM with only an hour or two of free-time. 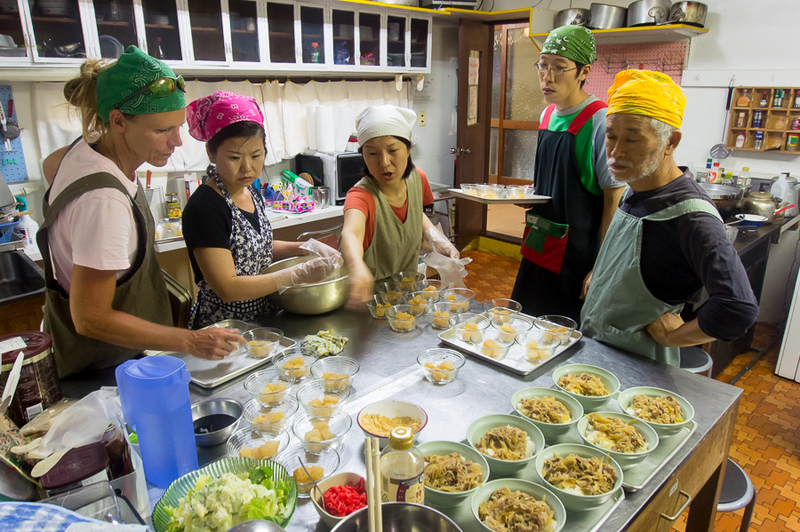 The last thirty minutes before meal-time tend to be really busy. 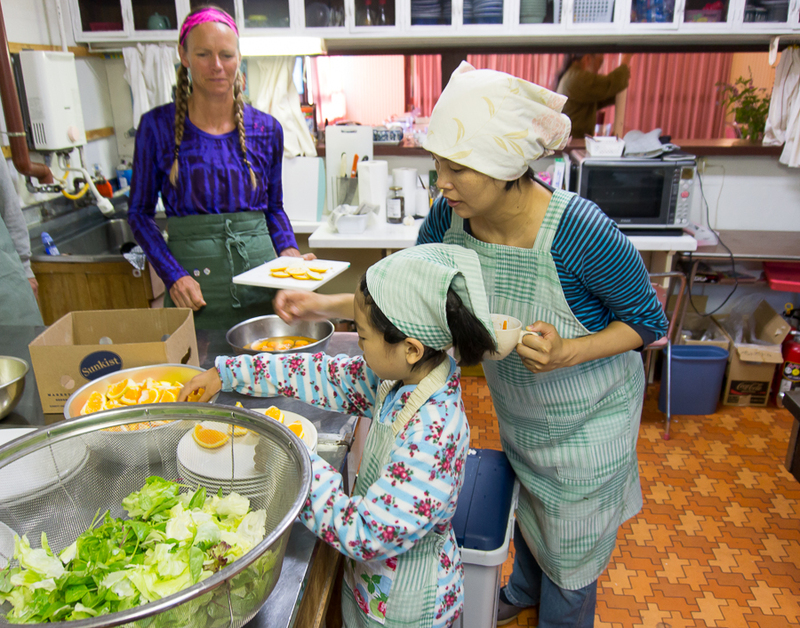 But thanks to the great recipes of our main cook, Yumiko Seino, the campers seem genuinely happy after each and every meal! 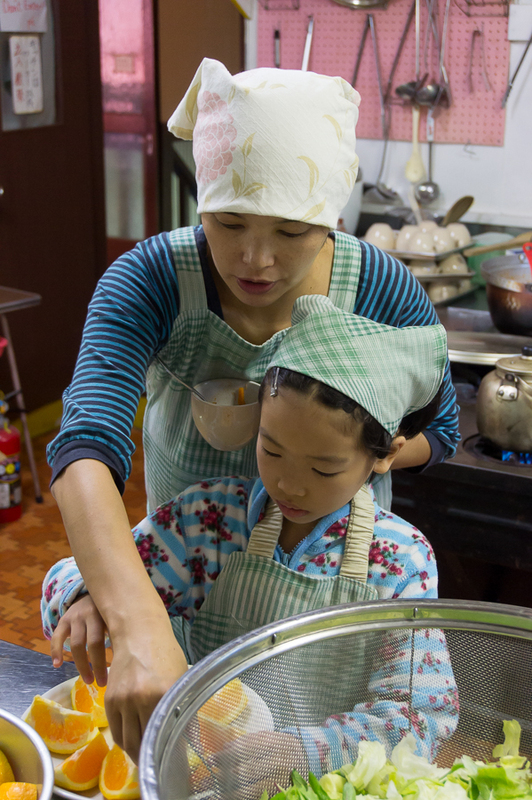 Tsukushi is the most helpful and cheerful first-grader I’ve ever met! Here she is learning from mom. We thank God for a wonderful group of volunteer staff members and pray that God will continue to use our team as we serve the people God has gathered on this mountain-top!